It’s the second month of a new year, and if you’re like most people, your personal resolutions have been placed on the back burner. If getting fit, investing money, or eating healthier feels a little too overwhelming, why not shift your focus to something simple you can do for your home that will help your state of mind too! Here are a few hacks for living a simpler, more organized life in your Millenia home. Who knows, maybe once you’ve maximized your space, your personal goals will come easy! If you love to shop (and find it way too easy to do at nearby Otay Ranch Town Center), staying organized might be difficult because you’re always bringing in awesome new home decor, kitchen gadgets, clothing, or other items. To avoid overwhelming your beautiful space with too many things you don’t need, the solution is pretty simple: Shop and spend with intent, rather than on impulse. Instead of making purchases simply because they catch your eye, make a list before you go. Is this item similar to anything I already own? If it is, do I need another? This is a simple strategy to adopt for items you already own as well! If your home’s feeling cluttered, you could get rid of the clutter altogether, rather than figuring out new ways to organize it. Use the same two questions outlined above to decide what items you want to keep and what you want to sell, give away, or donate. Often, clutter is specific to certain rooms in the house—so the kinds of home organization tips that work best can differ from room to room. Thankfully, this makes the process of organizing easy; just tackle it room by room! Having a gorgeous, modern kitchen, like the one in a Skylar detached home and an EVO penthouse, is a dream come true if you love cooking (or eating). Still, if you collect kitchen gadgets or like to keep your pantry stocked, even the best kitchen can become cluttered! Getting organized is typically a mixture of paring down what you own and making better use of the ample storage space you have. Hang the pots and pans you use most often from a ceiling or wall-mounted organizer. Use the vertical space in your kitchen. For instance, add shelves to an empty wall, and use cupboard organizers that have multiple levels. If you’re a gadget-collector, consider paring down your collection. Many gadgets can easily be replaced by ordinary kitchen items. For instance, the flat edge of a chef’s knife is just as effective as a garlic press. If you live in a home like Shea Element with a separate dining room, consider adding decorative storage features, such as a sideboard for storing tableware. This frees up space in the kitchen and allows you to display your favorite items. 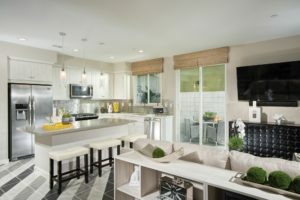 This strategy works well if you have an open plan kitchen and dining area like the one in Z at Millenia because all you need is a piece of furniture that looks great in the space! Despite the coziness of the space, it can be easy for the living room to become cluttered as people wander through to other areas of the house, leaving items as they go. Add that to items that “live” in the space, and your living room can start to feel more like a closet than a haven. Thankfully, there are simple ways to solve this problem forever! Institute a household rule that everyone collects their own personal items from living areas at the end of each day and puts them back where they belong. This prevents clutter from building up over time. Choose furniture items that double as storage areas. Sleek coffee and side tables that are also storage chests would fit fabulously in an Alexan apartment. Add a bench window-seat with under-seat storage. A side table could even double as a dog crate! Organize table-top items such as TV remotes, candles, and decor items in decorative trays. Rooms become cluttered for different reasons. 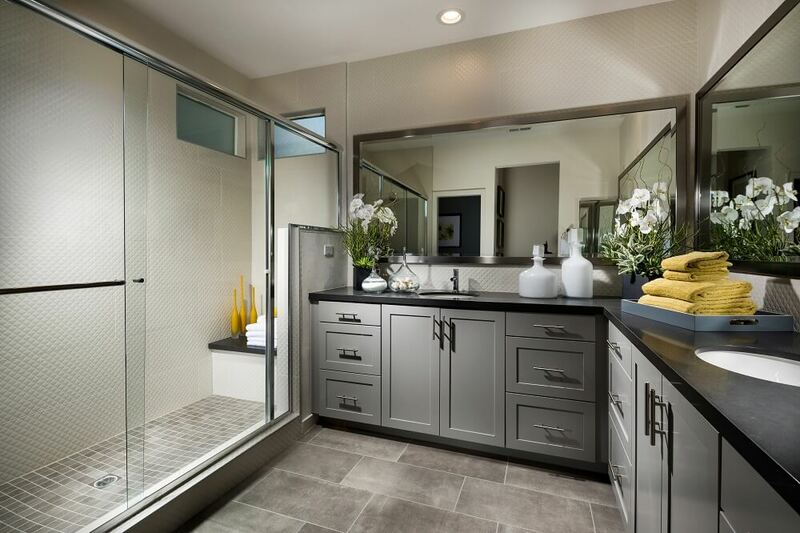 For bathrooms, it’s typically because they’re used so often. You don’t always have time to put away items when getting ready for work or heading out to dinner at a local restaurant. Throw away old, unneeded, and expired medications. Check with your local pharmacist to find out how to dispose of medications safely. Organize drawers and cupboards with baskets and trays to keep like items (makeup, toiletries, etc.) together. Make sure everyday items are easy to access, so you can quickly find and use them and then return them to their proper places. For instance, put them in an easy-to-reach drawer, or organize them in trays, jars, or baskets on the counter-top. Metro Row Homes have plenty of room! Bedrooms can be clutter-magnets, especially children’s bedrooms. Clever storage solutions and good use of space are the key to staying organized. When it comes to items such as clothes and toys, it’s also useful to purge closets and toy chests of items that are no longer needed. Keep small items together and easy to find with trays on the tops of nightstands and dressers and drawer inserts inside cupboards and drawers. Use door-mounted organizers for items such as scarves, ties, and belts. Add shoe and hat racks to closets to make use of vertical space. Wall-mounted storage for jewelry and similar items can double as décor and also make it easy to see at a glance what you have. In the kids’ rooms of your Trio Garden Home, choose all-purpose toy chests, baskets, or bins. If the toys will be out on the floor again the next day, it doesn’t matter much if they’re sorted into different bins each night! If you’ve converted a spare bedroom in your two- or three-bedroom house into a home office or hobby room, you may find yourself drowning in paperwork or craft items after a while. There are plenty of ways to get organized here too! Go digital: Buy a scanner and digitize financial records and other files that take up space. A scanner is perfect for digitizing old family photos and other mementos. Store the originals in acid-free archive boxes to keep them safe. Organize craft items, such as beads, glitter, ribbon, and thread, in a tool box, tackle box, or similar. They have lots of tiny built-in compartments that are perfect for organizing small items. Many of Millenia’s homes offer two-car garages (think Skylar by KB Home‘s ample garage, Trio, Z at Millenia, Element at Millenia, Evo, and Metro). They’re so convenient not only for cars, but also for tools and sports equipment! If the useful gadgets in your life are getting just a little out of hand, wall-mounted storage is ideal for making the best use of garage space! A pegboard is an all-purpose garage storage solution that can be found in most garages across the country. They’re perfect for organizing tools and making sure they’re out of reach of small hands. Organize long-handled items such as brooms, rakes, shovels, and spades using a wall rack. Love to bike, skate, or jog in the neighborhood? Or exercise in your yard? A wall-mounted rack is great for all that gear! If a new year has you inspired to get organized at home, these tips will get you off to a great start! Acting with intent is important too: a combination of good strategy and the will to execute your plan will make sure you enjoy your Millenia to the fullest this year.